Live-action segments show members of the Disney staff touring South America and recording their impressions in sketches. 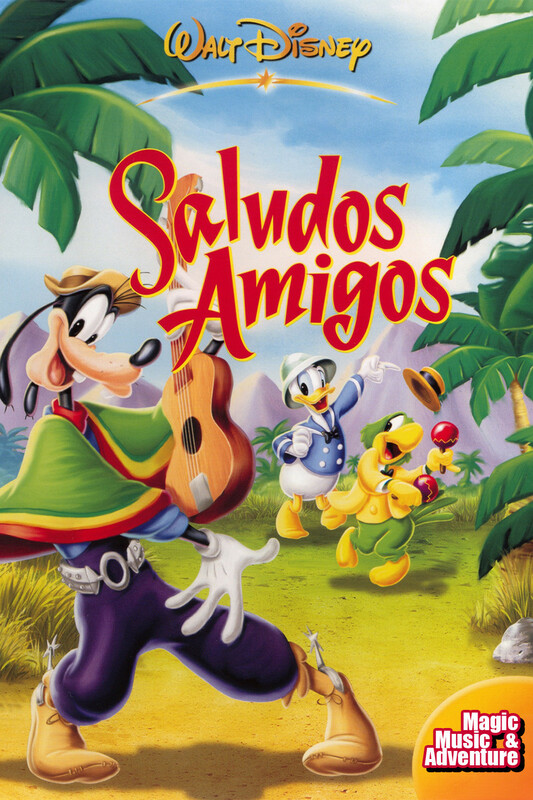 These segue into four animated sections: "Lake Titicaca" depicts tourist Donald Duck's troubles with a stubborn llama; "Pedro" tells of a little mail plane's adventures flying over the treacherous Andes; "El Gaucho Goofy" transplants an American cowboy into the Argentine pampas, and in "Aquarela do Brasil," Jose Carioca shows Donald the sights and sounds of Rio de Janiero. 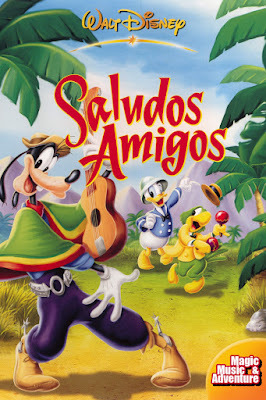 Saludos Amigos - After a live action sequence in which Walt Disney himself gives a tour of his animation studios in California, the action shifts to South America where a collection of both stock and new characters appear in a series of shorts. In one segment, Donald Duck (Clarence Nash) attempts to navigate Lake Titicaca with an uncooperative llama, and in another, a brave little airplane crosses the dangerous Andes. Meanwhile, Goofy (Pinto Colvig) tries to act like a local in the Pampas. Saludos Amigos (1942) is 3 times Academy Awards Nominated (Oscar).